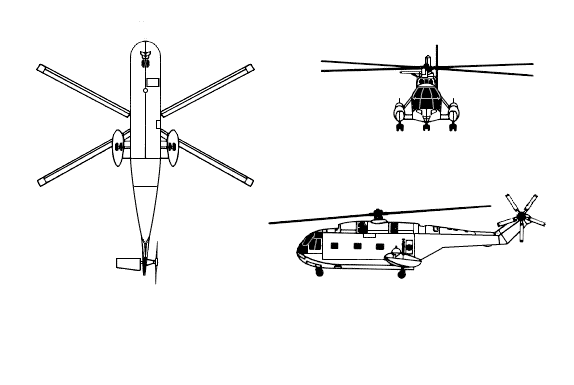 The Super Frelon (SA 321) is a heavy transport helicopter originally manufactured by Sud Aviation, and later by Aerospatiale. There is also a Chinese version of this helicopter known as the Z-8. The helicopter first took flight in 1962 and was introduced four years later in 1966. The Super Frelon was developed as an upgraded and improved version of the original SE 3200 Frelon. As with its predecessor, the Super Frelon was made to serve as a heavy military transport. The SA 321G is of course derived from the standard variant. This model was designed as an anti-submarine helicopter for the French Navy. The 321G is powered by three Turbomeca IIIC-6 turboshaft engines. It also has a boat-hull type fuselage and glass cockpit, with a specialized six-blade main rotor and a five-blade anti-torque rotor. As a navy variant the 321G has a folding tailboom, to allow for easy stowing. 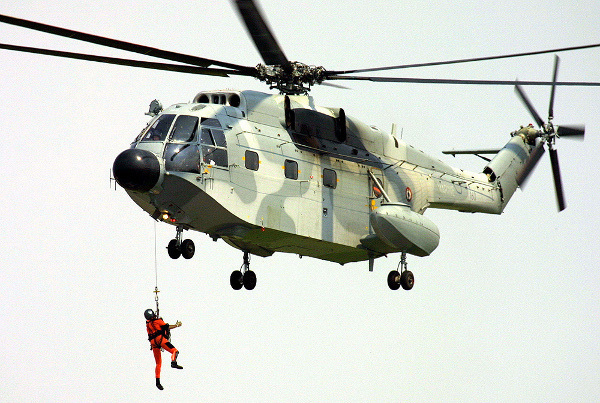 The ASW and SAR sub-variants feature a hoist with winch and scoop for rescue. The 321G is also equipped with a laser designator system and a night vision system. Both appropriate tools for its naval role. The 321G can do damage more directly with its 20mm cannon, four homing torpedoes and two anti-ship missiles. Enough to make most vessels nervous. That’s not all however, the 321G also packs eight optional 250KG mines for mine-laying missions. The Chinese models have been further armed with special pylons to hold ET52 ASW torpedoes. The 321G is not only equipped with a variety of attack options, but also substantive ways to find targets. Two radomes provide surface-search ability and the sub-variants also have choices of various advanced navigation radars. In total, there were 110 SA 321 helicopters built. Of these 26 were 321G naval units. Do you want to comment the Aerospatiale SA 321 (G) Super Frelon helicopter?